In 2015, Facebook strengthened its role in the e-commerce sector with their Facebook Dynamic Ads service. Since its launch, this new advertising format has proved its worth, and continues to attract more and more online retailers each week. As it stands, there are more than 2.5 billion products on the network. Facebook Dynamic Ads lets you show your products on the social network using a slideshow format, which Facebook calls Carousel. Available on all devices, the service is easy to manage and updates instantaneously. Using Facebook Dynamic Ads is a great way to boost sales and also widen your client base and improve customer loyalty. When configuring the adverts, you can choose to set up an acquisition strategy, and/or retargeting. Furthermore, by displaying relevant adverts to relevant users, the service ensures precise and relevant targeting. 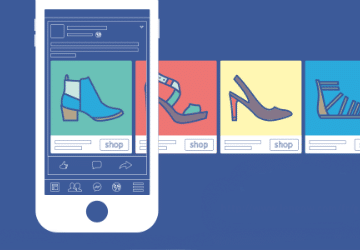 Unlike a more typical advertising format, Facebook Dynamic Ads give you the option to customise how your adverts are displayed according to your clients. To help you get started with Facebook Dynamic Ads, Lengow has created an infographic with 5 top tips. If you want to know more about Facebook Dynamic Ads, download our free whitepaper now.